Polyester with PVC Back Coating 600D/300D. 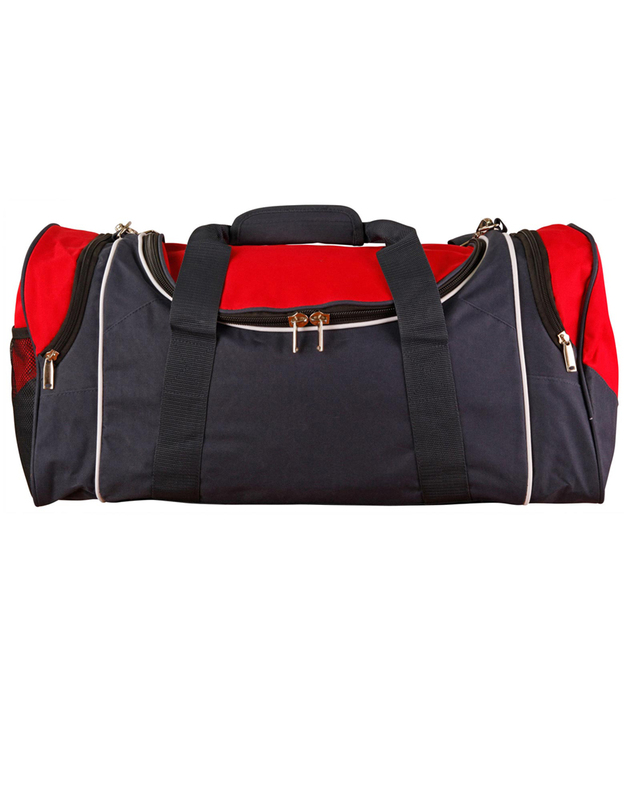 Large U shaped double zippered main compartment. Zippered end compartment. Two carry handles with Velcro closure. Mesh pocket on one side. Adjustable/ detachable webbing shoulder strap with padding. Studded base for durability.